Mindful and meditative practices come in many different forms and serve different purposes but, essentially, they are intended to increase awareness of one's own mental and emotional state. Both are used to help manage stress and mental health. As mental health becomes a growing concern in communities across the world, many people are turning to the techniques of mindfulness and meditation, which they say have practical applications from the classroom to the workplace. 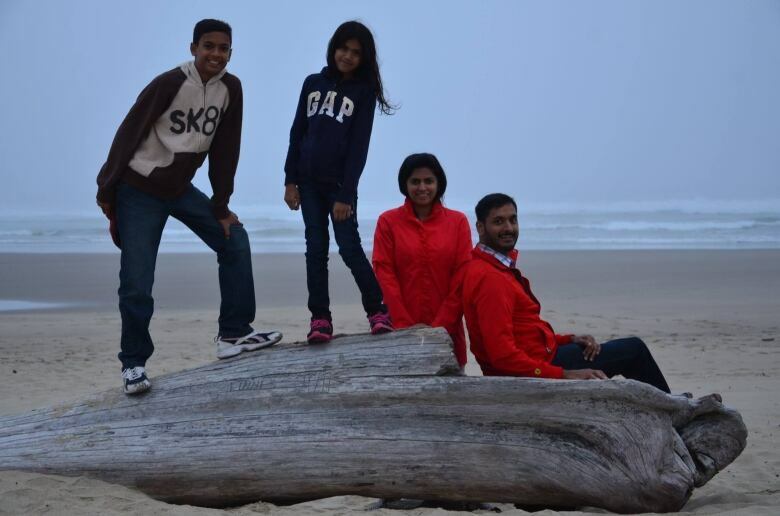 For Aravindhan Ravindran, a father in Vancouver, mindfulness and meditation practices were a lifeline when his teenage son developed an infection on his spinal cord and became paralyzed from the waist down. "We would go out and meditate every day and do a meditation called rejuvenation process, or cleaning process," Ravindran said. Ravindran knew he couldn't heal his son but he could decide how to handle the intense emotions of a life-changing event. "That immediately would make us feel light and clear — or at least not be bogged down by any worries," he said. Cortland Dahl, a research scientist for the Centre for Healthy Minds at the University of Wisconsin-Madison, says there is a scientific reason that meditation helped Ravindran. "As a skill, we can actually train the mind and train ourselves to intentionally notice the positives in any particular interaction or moment," Dahl said. It's a skill that anyone can develop, he emphasized. "The skill is simply knowing what's going on in your own mental and emotional state in the moment," Dahl said. According to Kimberly Schonert-Reichl, an applied developmental psychologist and professor at UBC, the best time to start learning these skills is during the "sweet spot" of brain development, between grades four to seven. "Being able to focus your attention actually helps develop something we call the prefrontal cortex," she said. "These exercises help to develop these muscles of your brain, so to speak, of being able to better focus your attention." Schonert-Reichl is also a leading researcher behind the Mind Up program,which teaches kids how their brains work and uses mindful practices to improve learning. Implementing the Mind Up program has a visible impact in the classroom, according to one B.C. educator, who says kids can process their thoughts and emotions better when they understand what is physiologically happening in their bodies. "After the first lesson, if [the students] are on the soccer field and they get tripped up and they get angry, they'll go, 'Oh yeah, that's my amygdala [a set of neurons in the brain] telling me to either flight, flee or freeze,'" said Jonathan Weresch, the principal of Grenfell Elementary School. "That allows them to process it and think about another option of reacting." Stress doesn't stop after graduating from school. The CAMH also released statistics stating that 500,000 Canadians miss work each week due to mental health-related issues. That's why companies are now starting to bring mindful practices into the workplace. Wendy Quan saw the mental health benefits after incorporating mindfulness meditation into her daily routine when she was battling cancer. After returning to work, her colleagues noticed the shift in her stress levels and wanted the same thing for themselves. "Every time I sat down I'd come out of that time — whether is was for five minutes or an hour — feeling more calm, and more grounded, and that I had the strength, I could do this," Quan said. Quan later founded The Calm Monkey, a mindfulness and meditation training school, where she teaches facilitators to conduct mindfulness sessions for their employees. The skills not only help decrease employees' stress levels but also, according to surveys conducted by Quan, lead to better decision-making and improved efficiency. While mindful and meditative practices have the potential to help manage stress and mental health, some experts caution that each person may react differently. Nicholas Van Dam, a clinical psychologist and neuroscientist at the University of Melbourne, said it's important to be aware of the misconceptions of mindful practices. "The concern is really people committing to retreats or intensive practices on their own, just thinking that this will solve any problem, without talking to a psychologist, psychiatrist or mental health professional," he said. This story is part of a radio series called All In Your Mind, which aired on CBC's On The Coast Sept. 24-28, and was produced by Cass Lucke, a recipient of Langara College's Read-Mercer Fellowship.